"We all enjoyed our stay at Bay View Resort, and would love t..."
Have a question for Bayview Resort? "Great resort right next to the beach just across the road." "Defo will stay there again"
Bayview Resort is located in Mae Ramphung Beach, which is one of the most beautiful beaches in Rayong. Mae Rumphung Beach is under Khao Laem Ya National Park’s care. On top of that, this beach has a very soft and fine-grained sand with no rocks along the beach, with crystal clear blue seawater. Bayview Resort is a small-sized property with only 20 rooms. Having a perfect seaside location, each bungalow delivers the ambiance of the nature, sea breeze, space for chilling, and sunbathing, while it also provides a sense of privacy and tranquility. This property offers barbeque grill ware for guests to enjoy their time, cooking fresh seafood, which makes Bayview Resort different from other places. Even though it does not offer a restaurant, guests can find local restaurants within 300 meters, along both sides of the street. Each made-to-order dish is created with locally-sourced seasonal produce. Be sure to expect herbs directly from the local garden and fresh seafood. Good spot at the beach (yes there is a road in between but what else do you expect?) Owner goes out of her way for you. We stayed 5 nights and enjoyed every day. 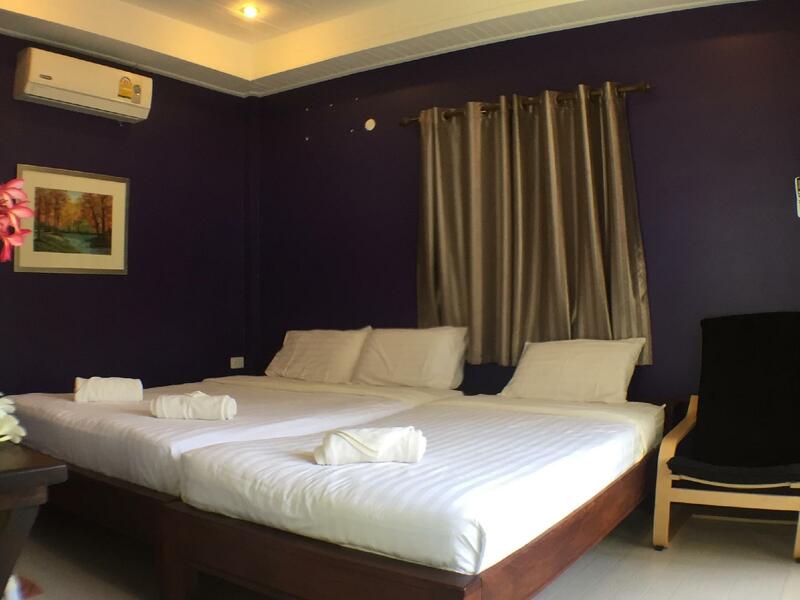 Small rooms but comfortable bed and good air conditioning. Beautiful maintained garden. Front rooms are more noisy from the traffic so you can request a room on the back. Booked 2 rooms and same type, but the bed size different. Big trouble by booked 2 rooms and same type but the size of bed was different. First room is 5 feet of bed’s width. Second room 6-7 feet of bed’s width. Both rooms are booked by king bed!!!! Beautiful place. Great resort right next to the beach just across the road. P.S. Room is too tight for 3 adults. The resort is really close to the beach just across a two lanes road. The atmosphere around the area is so peaceful. Perfect for those people who want to enjoy living in the nature. You can get some fresh made seafood dishes in reasonable price within 5 minutes walk from the resort. However, there is no nightclub or bar whatsoever. If you expect those kind of places, you'll regret coming here. We heard from the locals that the beach is actually 13 km long. There is a garden in the resort where you can actually sit in the shades of the trees looking at the beach and the sea. A bungalow is quite small, but perfectly fits for a couple. A room was very clean compared to other resorts on the same beach. Very convenient. And the staffs were friendly as well. Definitely go there again next time visiting Thailand. A long way from anywhere and even the taxis don't know where it is. No pool so beach is only option. Ugh. Bed was awful. Tried to complain but staff didn't understand. First bad experience in 4 trips to Thailand. Nice location cuz it's opposite to the beach (you have to cross the road but it's ok. However, if you're looking for the privacy and full breakfast, this resort doesn't you. - Breakfast is only 1 set per person (I'm not sure but you can ask them if you want more). There are some bread, coffee/tea, fried eggs, bananas. - The resort is next to the road and the fence is very low. When you're in the cabin, you need to well close the curtain cuz people on the road can see the inside of the cabin easily. Anyway, it's quiet area though. Having said that, I like the design of cabins and the interior and exterior. You can do some barbecue and chill out at the bench beside your cabin. Also, I like the aircomditioner! It's cooling very fast. Location is excellent, lots local food near bye and also passing by. Room OK but needs table and chair as cannot always sit outside. Smaller bed rather than 2 singles pushed together. Breakfast no choice and could be some fruit. Great location and staff helpfull. Still getting set up. Clean room and comfortable bed. The breakfast was ok. A little bit overpriced if you stay only 2 peoples (Our group was 3, requested for 1 extra bed). Bay View Resort provided the perfect place for a few days get away. Located on the shore of Rayong, the resort is a harbour of peacefulness. 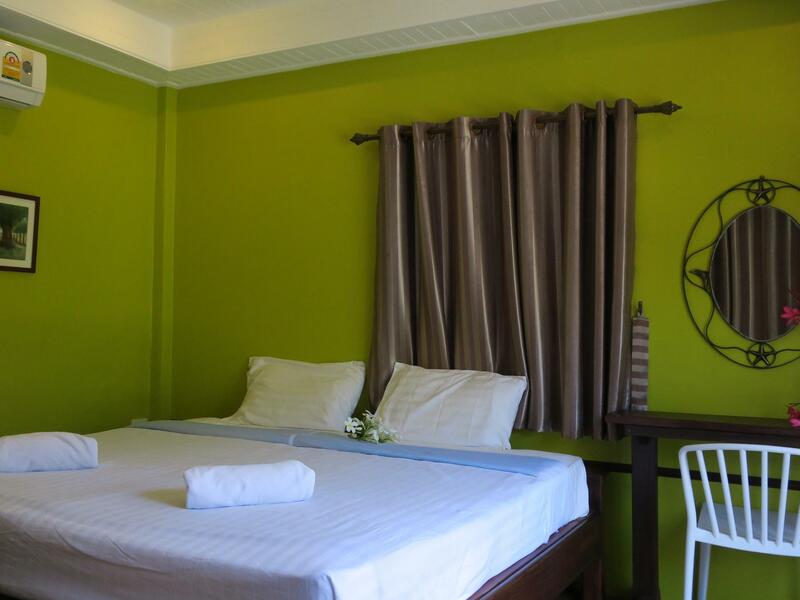 The rooms are clean and spacious, and offer a beautiful view on the sea. We spend the night there with a group of three friends, and enjoyed the relaxing environment. Furthermore, the staff was very friendly and helpful, offering insights into the city and different modes of transports. From Rayong, it is very easy to access Samed Island and experience white sand beaches and azure water. I highly recommend the resort to anyone wanting to escape the high prices of Samed, and still live the resort experience. We all enjoyed our stay at Bay View Resort, and would love to return there. Schöner, liebevoll gepflegter Garten, Straße zwischen Hotel und Strand, einfache Ausstattung , daher relativ günstiger Preis; mit der Bereitstellung des Frühstücks hat es mangels Personal jedoch arg gehapert! Schöner Strand mit Restaurants, prima Fischgerichte. Plastikmüll an Strand und Meer in noch erträglicher Menge. Entspannte Athmosphäre.